Welcome to Twin Lotus Production and thank you for visiting! 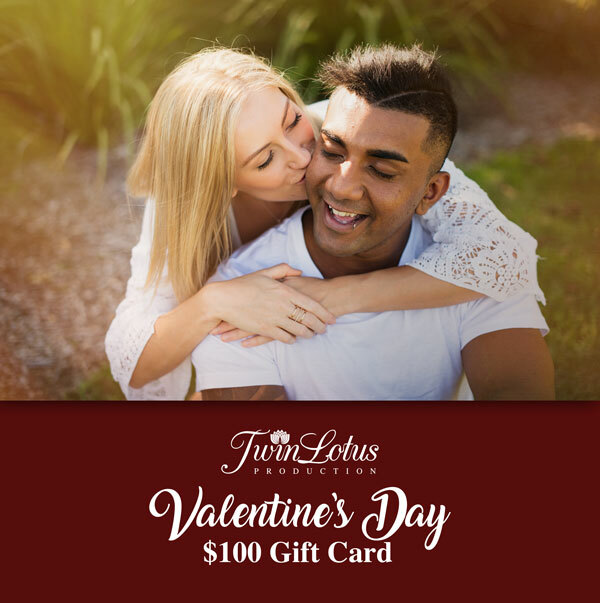 This is an opportunity to choose a truly unique and memorable Valentine’s day present that your lover will cherish forever. The photo shoot itself is an experience and we go above and beyond to ensure the lucky gift recipient enjoys the journey with us. We specialize in outdoor location and indoor studio portraits for the lovebirds. Enjoy a unique portrait experience with Twin Lotus Production and choose your favorite photograph to keep! 1x 8″x12″ Mounted Fine Art Print and duplicate digital file. May not be transferred to a different product or package.